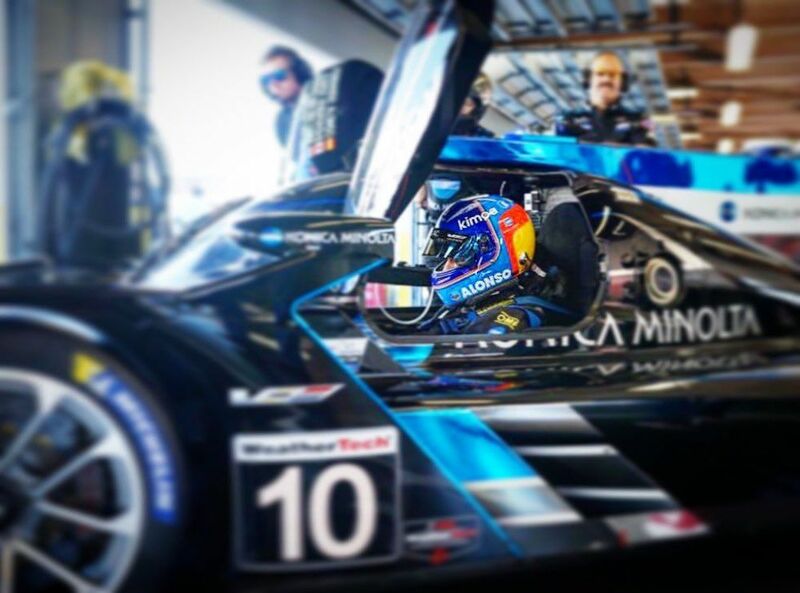 Are you a big endurance racing fan who loves the Daytona 24 Hours and the WeatherTech Sportscar Championship for what they are, regardless of who’s driving? Great - but this article probably isn’t for you. We love the race and the championship too - however, the fact that Alonso is competing (again) will almost certainly attract a lot of eyeballs to the race who aren’t familiar with Daytona and are watching with the sole purpose of seeing how Fernando gets on. Some people get annoyed at how coverage of any event he races in tends to focus mainly on him, so we’ve decided to just own it and come up with this Alonso-centric guide to Daytona for those of you who’ll be watching the event for the first time this weekend. 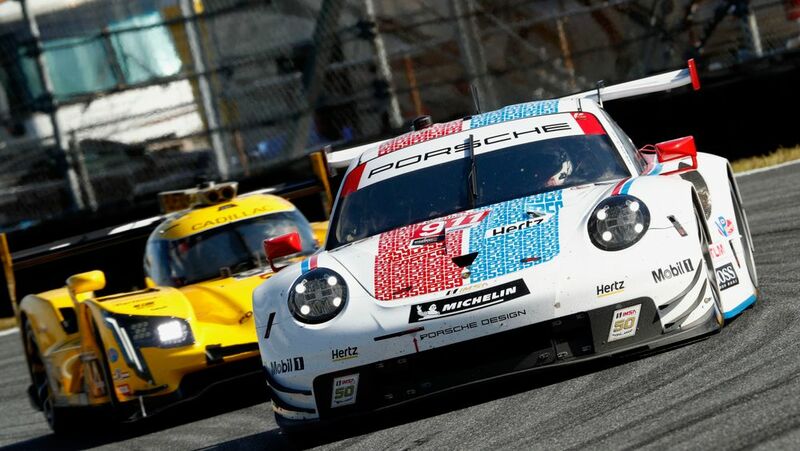 Alongside Daytona, how many other major 24-hour races are there which feature both GT cars and full-on sports prototypes? Yup, it’s just Le Mans - that alone should tell you how big of a deal Daytona is. Throw in the 12 Hours of Sebring and you’ve got what is unofficially known as the triple crown of endurance racing. You can see where this is going, right? Alonso has already stated he wants to win the triple crown of motorsport and ‘only’ needs a victory at the Indy 500 to achieve that goal. But a win at Daytona would also give him two of the three wins needed for the endurance racing triple crown. Is Fernando going for both triple crowns? Like the WEC, there are four classes at Daytona. Most of the cars are driven by a crew of four drivers, though some have three or even five people sharing driving duties. 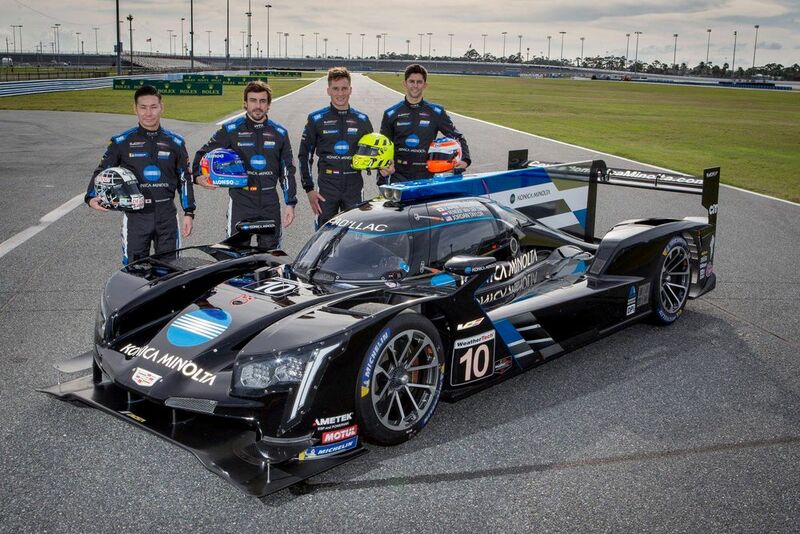 First, there’s the top class - Alonso’s class - Daytona Prototype International, or DPi for short. 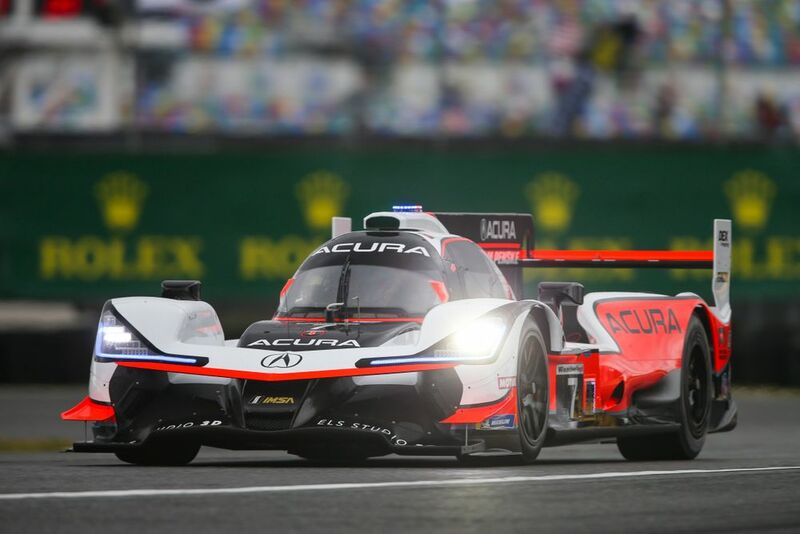 Based on the LMP2 rules seen in the WEC and other FIA championship, the difference is that in DPi, manufacturers are allowed to modify the bodywork to look a bit more like road cars, as well as add their own engines. This means you get a real mix of approaches. For instance, the Mazdas are powered by 2.0-litre four-cylinder turbos, while the Cadillacs (like the one Alonso is driving) have a big ol’ naturally aspirated 5.5-litre V8. Teams can afford to go with different approaches because the performance gets equalised via Balance of Performance adjustments - a controversial method, but when you’re watching close racing, it’s not something you tend to really care about. The second class is regular old LMP2, with cars pretty much identical to those raced in the WEC (the United Autosports car Fernando raced last year was an LMP2 car). Last year these were part of the DPi category but proved to be slightly slower than cars built to DPi rules, so for 2019 they’ve been properly separated. Whereas all the DPi drivers are professionals, every LMP2 car also has to have an ‘amateur’ driver in its line-up. 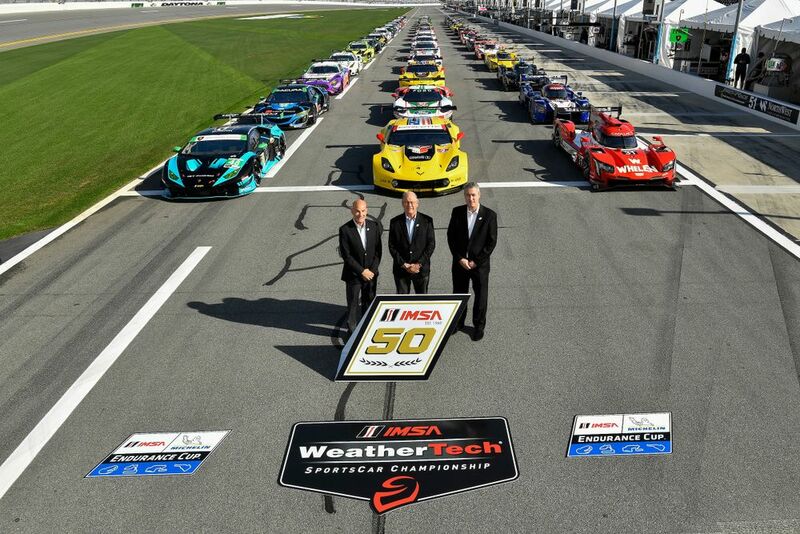 Then there are the two GT classes, GTLM and GT Daytona. GT LM features the same GTE cars you’d see in the WEC from manufacturers like Ford, Ferrari, and Porsche. GT Daytona is slightly slower and is by far the most populated category. It’s comprised of GT3 cars that race in the likes of the Blancpain Endurance Series and at the Nurburgring 24 hours. Like the prototype categories, GT LM is for professional drivers, while each GT Daytona car has to feature at least one amateur driver. Which team is Alonso driving for? 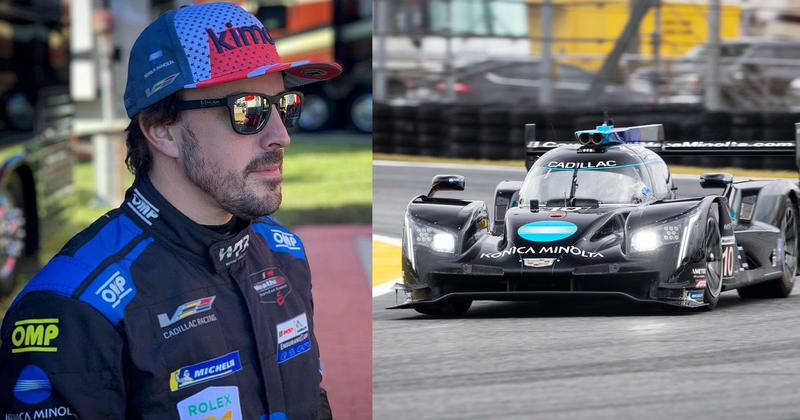 This year, Fernando is driving a Cadillac DPi-V.R for the Wayne Taylor Racing squad. 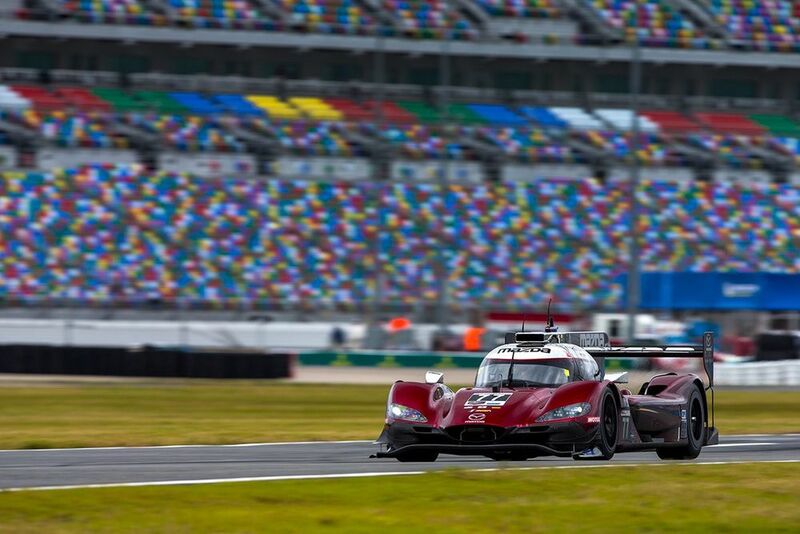 Run by former racer Wayne Taylor, WTR has a rich and successful history in North American endurance racing, winning a couple of championships and taking overall honours at Daytona in 2017. Endurance racing is a team effort and success requires having more than just one excellent driver - if the other three aren’t up to scratch, you won’t win. Luckily for Fernando, his teammates are seriously talented and make for possibly the strongest driver line-up in the field. First up is a name I’m sure you all know in the form of Kamui Kobayashi. After becoming a fan-favourite in F1 during stints with Toyota, Sauber, and Caterham, Kobayashi now races with for Toyota in the WEC in the sister car to Alonso’s. Next up is a Dutchman with perhaps the most fun name to say in all motorsport - Renger van der Zande. In 2017 he took a shock victory for an LMP2 car after pulling off a sublime overtake at the Corkscrew at Laguna Seca, and last year helped WTR win Petit Le Mans. Finally, there’s Jordan Taylor. If you don’t follow this dude on Instagram or Twitter you really should, because he’s bloody hilarious. He even managed to get Fernando to don a 90s Nascar jacket and imitate Taylor’s race fan alter-ego, Rodney Sandstorm. There more to Taylor than just great bantz, though - he’s also bloody fast. He not only won Daytona in 2017 but also the entire championship alongside his brother, Ricky Taylor (in case you hadn’t twigged, he’s the son of team owner, Wayne Taylor). Which other former F1 drivers are in the race? Like many forms of endurance racing, you don’t have to look far to see a few names familiar to F1 fans. Former Sauber driver Felipe Nasr won this championship last year and is back to defend his title, while both Juan Pablo Montoya and Alexander Rossi will race for Acura Team Penske. Last year’s winner Christian Fittipaldi is taking part in what’s set to be his final race before retiring from motorsport and Rubens Barrichello (yep, he’s still going!) will also compete. In LMP2 you’ll find just one former F1 driver, but it’s a big name: Pastor Maldonado. Driving for the same DragonSpeed squad he races for in the WEC, he must surely fancy his chances at winning the four-car class. One of the biggest stories of the race will be in GTLM. 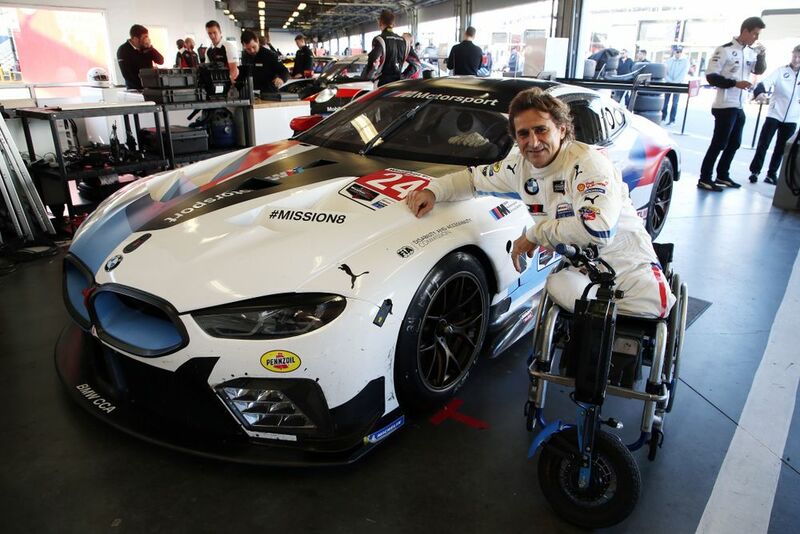 Double amputee and all-around legend Alex Zanardi will race a specially-adapted BMW with hand controls alongside three able-bodied teammates. Driver changes for them are a little different and include a change of steering wheel, but seeing how Zanardi gets on is definitely something to keep an eye out for. Corvette veteran Jan Magnussen is also racing, hoping to add to his class win at Daytona from 2015, with Sebastien Bourdais also driving a Ford GT. The other two former F1 drivers are racing in GT Daytona. Pedro Lamy will race a Ferrari 488, while none other than Markus Winkelhock - yes, led-in-the-rain-for-Spyker-during-his-only-grand-prix Markus Winkelhock - will drive an Audi R8. It’s the big question, isn’t it? Winning here will not only be another big feather in the cap of Alonso’s career, but it’ll put him one step closer to winning the triple crown of endurance racing. It’s not quite as exclusive as the triple crown of motorsport - 12 people have the endurance triple compared just the one winner of the full motorsport triple - but it would still be a mightily impressive achievement. His chances of winning this year are certainly pretty good. Cadillacs have won for the last two seasons and WTR has a great record when it comes to winning big races. 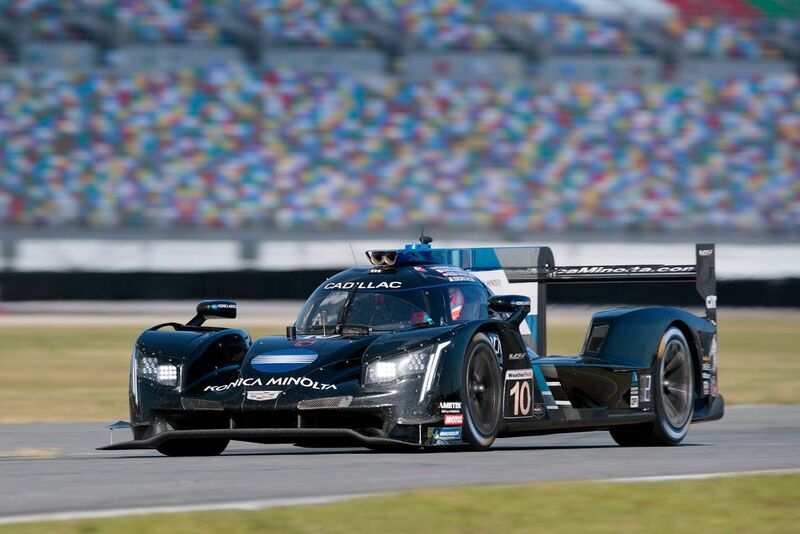 They’ve qualified sixth overall for this year’s race and second of the Cadillacs. The top four spaces are filled by Mazdas and Acuras (Oliver Jarvis in the pole-winning Mazda broke the 26-year-old track record) but qualifying pace is a very different thing to race pace (especially in endurance racing) and reliability is always a factor - an area the Cadillacs have traditionally been pretty strong in. Daytona is an old-school circuit which mixes the high speeds of the banking with the tight, very narrow infield and incidents are common. And because this is a race in North America, anything from a smashed up car to a small piece of debris on the circuit will often lead to a full-blown caution period, which helps keeps things close. That means that unlike Le Mans, at Daytona it’s fairly common for races to go down to the final few laps. It’s all about minimising problems and remaining in contention until the end of the race. If the team can manage that, then Alonso will have a genuine chance of standing on the top step and receiving a shiny new Rolex as a victor of the Daytona 24 Hours. Or the car could be wiped out on the first lap and they could all go home empty-handed. Even if that does happen, though, you should carry on watching - it’s a truly mega event.